The Warrior range of extra wide pallet trucks has been designed, developed and built to give outstanding long service with minimum maintenance required and assist with all manner of lifting, manoeuvring, pallet handling etc. within industry and commerce. A sound long term investment! 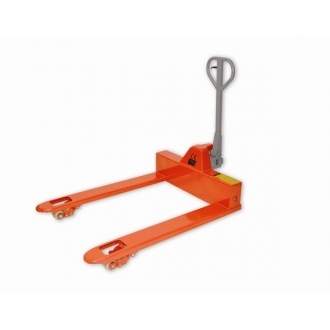 The trucks have a maximum load capacity of up to 2000 kg and are designed for use with non specific loads where a standard hand pallet truck will not suffice. They are available in two sizes although other sizes are available for the factory.